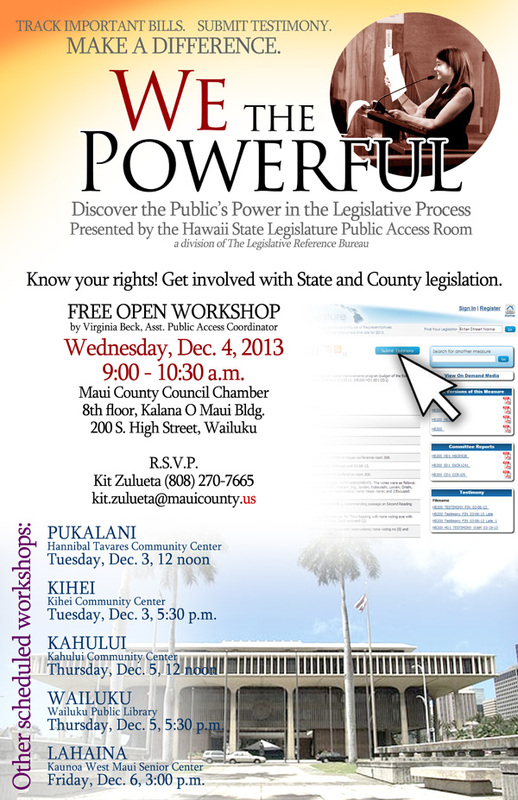 Honolulu, Hawaii – The Hawaii State Public Access Room (PAR) will conduct a series of free workshops on Maui entitled “We the Powerful!” between Dec. 3 to Dec. 6. The workshops are intended to help demystify the State lawmaking process, and demonstrate ways the public can participate at the Hawaii State Legislature without leaving the island. The events are open to the public and no registration or prior experience is required. “There are many ways for the public to get involved with legislation,” said Maui County Council Chair Gladys Baisa. “Mahalo to PAR for their continuous outreach efforts. These workshops will help empower individuals and realize how a single voice can make a difference in the legislative process. PAR’s workshops are designed to be useful to both newcomers to and veterans of the legislative process. 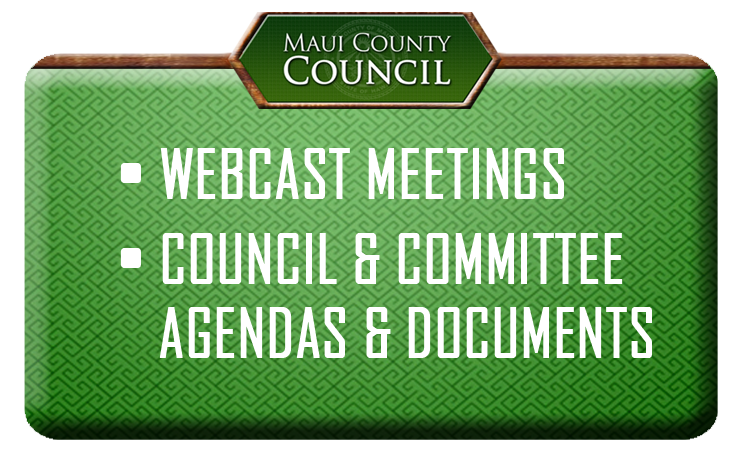 Topics will include an overview of the Legislature’s website, understanding the legislative process, delivering effective testimony, and making sense of the calendar and deadlines. PAR is a division of the State of Hawaii’s non-partisan Legislative Reference Bureau. Their office at the State Capitol and has long been devoted to assisting residents as they participate in State legislative government. Tuesday, Dec. 3 5:30 p.m.
Wednesday, Dec. 4, 9 a.m.
8th floor Kalana O Maui bldg. Thursday, Dec. 5, 5:30 p.m.
Friday, Dec. 6, 3:00 p.m.
For additional information, or to arrange for individual tutorials or group workshops, residents may contact the Public Access Room toll free from Maui at 984-2400 ext.7-0478 or via email at par@capitol.hawaii.gov. Please contact PAR in advance to for special assistance or services.